I’ve never seen a photograph of Jesus, but I would guess He looks nothing like Shrek. But tonight I realized that Jesus and Shrek have more in common than I thought. Follow me on this rabbit trail and I promise I will come back around. Fiona, our princess here, was trapped in a castle. Sure, she asked and probably prayed to be rescued over and over again. To no avail. Every morning, she woke up wondering if this may be the day that her Prince Charming would show up. He never did. She never called Shrek by name. She never screamed out the window, “If I only had an ogre and a talking donkey to come to my rescue!” She didn’t sit in the castle feeling unworthy and sorry for herself. She didn’t think about all the wrong things she had done, how there was no way anyone would even want to rescue her. She didn’t call all her friends to try to find someone to save her. She just waited. 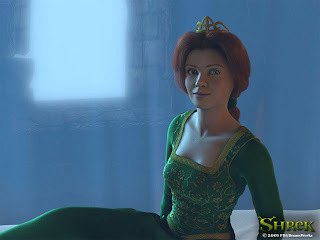 And I wonder, if we could get in Fiona’s mind, if she ever gave up hope. Even for just a minute. I would bet she did. I know I sure would…I have before. And Shrek- why did he even rescue Fiona? Sure, to get his swamp back (understandably… sweet place). It’s not that he was in love with her. It’s not that he heard someone call his name so he took off running. He risked his life for someone who did not even know him. I think there was, and later we know this to be true, a part of Shrek that is naturally a hero. He wanted to save the princess and save the day. I was talking to a friend tonight and she was saying that God shouldn’t have to rescue her- she doesn’t deserve it. Her wrongs have put her in this castle, in this place of heartbreak, and God has every right to leave her there. She has done nothing to earn His heroism; in fact- she has done nothing but crucified Him. But isn’t that what defines a hero? A hero doesn’t pick favorites- he shows up for anyone in need. He just knows how to rescue. Shrek just rescued because he had the heart of a hero. Firemen don’t run in to burning homes because all the people inside deserve to be saved. They just do it because they are heroes. Because it is part of their job description- rescue everyone every time. And isn’t that just like my Jesus? He is the ultimate hero. He IS the heart of the hero. I saw a bumper sticker yesterday that said “All gave some, but some gave all”. Honestly, shouldn’t it be “All give some, but ONE gave all”? Not one hero on Earth gave what Jesus gave. No one has saved me like Jesus has saved me. And no one rescues my heart on a daily basis except Jesus. So with my friend tonight, we prayed that Jesus would be her Shrek. That He would come and rescue her, not because she deserves it, but just because she is Fiona- stuck in a castle with no way out. That she would not even have to call Him, He would just come… because He LOVES her, because He LOVES to rescue. Because He is our Hero.